Annetine C. Gelijns J.D., LL.M., Ph.D.
Award Year: 1993 Dr. Gelijns provides insight into the forces that drive the rate and direction of technological change in medicine. She also examines which policy mechanisms have the most potential to encourage continued medical innovation and contain health care costs. The study focuses on: the basic mechanisms underlying medical research and development (R&D) and diffusion; conditions governing the supply and demand for new technologies; and the examination of supply-side considerations to gain a better understanding of the role played by medical technology in contributing to rising health care costs. Using cross-national comparisons, this project considers several of the most important areas of innovation in medicine. It focuses on the analysis of specific clinical conditions and the contexts from which technologies emerge. Alternative technological solutions, underlying patterns of medical specialization, and competition among medical specialists are also addressed. Annetine C. Gelijns is the chair of the Department of Population Health Science and Policy at the Mount Sinai Medical Center. Previously, Dr. Gelijns was the Co-Director of the International Center for Health Outcomes and Innovation Research, and and professor of surgical sciences in the department of surgery, College of Physicians and Surgeons, and the School of Public Health, Columbia University in New York City. Dr. Gelijns' current research focuses on the advancement of clinical trials in surgery, outcomes research and cost benefits of specific surgical procedures, and mechanical assistance for the treatment of heart failure. Before coming to Columbia University in 1993, she directed the Program on Technological Innovation in Medicine at the Institute of Medicine, National Academy of Sciences. 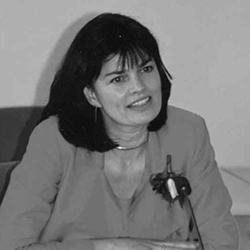 From 1983 to 1987, Dr. Gelijns worked for the Steering Committee on Future Health Scenarios (co-sponsored by the European office of the World Health Organization and the Dutch government), where she helped develop models for long-term health planning in the areas of cancer, cardiovascular disease and aging. During that time, Dr. Gelijns held a joint appointment to the Staff Bureau for Health Policy Development, Department of Health, the Netherlands. She has been a consultant to various national and international organizations, including the World Health Organization and the Organization for Economic Cooperation and Development, as well as a member of the board of the International Society on Technology Assessment in Health Care. Dr. Gelijns received her LL.M. degree from the University of Leyden, the Netherlands, and her Ph.D. from the medical faculty at the University of Amsterdam. Gelijns, A.C., Brown, L.D., Magnell, C., Ronchi, E., Moskowitz, A.J. Evidence, Politics, and Technological Change. Health Affairs, 2005, 24(1): 29-40. Gelijns, A., Thier, S. Medical Innovation and Institutional Interdependence - Rethinking University-Industry Connections. JAMA, 2002, 287(1): 72-7. Gelijns, A.C., Zivin, J.G., Nelson, R.R. Uncertainty and Technological Change in Medicine. JHPPL, 2001, 26(5): 913-24.